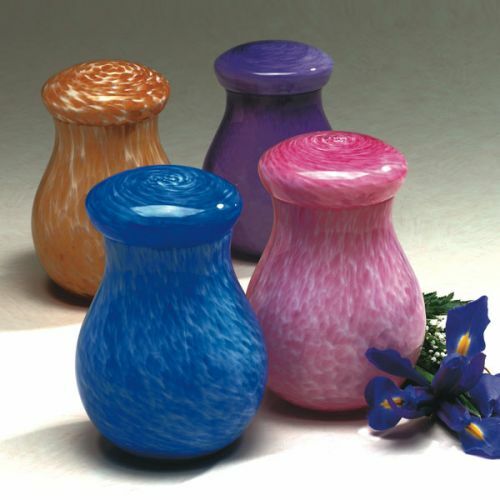 Hand blown glass in contemporary colors. Top-opening lid seals with adhesive (not included). 5-1/4" Dia. x 7-1/2"H; 72 cu. in. ; Due to the nature of blown glass, patterns and color will vary.